Mastercraft is one of Michigan's largest dealers of energy-efficient furnaces, air conditioners, plumbing and electrical equipment! Mastercraft Heating, Cooling and Plumbing is Bingham Farms MI's leading source for high quality, energy-efficient heating and air conditioning systems and parts. Whether you're looking for heating, cooling, plumbing, or electrical solutions, Mastercraft will evaluate factors such as your home's size, age, number of rooms, climate conditions and utility costs to help you select the best complete system for your home. All of our technicians are factory-trained and certified, and we're licensed, bonded and insured. Mastercraft provides emergency repairs, comprehensive service, and we have a large dispatched fleet to service your comfort needs in the most efficient manner. We honor all warranty work and include a company warranty in writing with all of our services. With more than 60 years of combined experience, Mastercraft has the expertise to service your home or business. We service and repair all makes and models of furnaces and air conditioners but we only install the best. With leading names like York, Amana, Carrier, Trane, Goodman, Bryant, and American Standard, you get a reliable heating and cooling system that is affordable and energy efficient- saving you money year after year. If we can repair your existing unit, we will. But if it's more practical to replace it, we'll give you a great deal on the new furnace or air conditioner- and we won't charge a fortune to install it. Mastercraft is one of Michigan's largest dealers of all the top names in furnaces and heating equipment. When it's time to get comfortable, it's a good time to install a new, high-efficiency York furnace. Whether replacing your worn-out or outmoded system or adding comfort to your new home, you can count on York for years of quiet, trouble-free service, and economical operation. 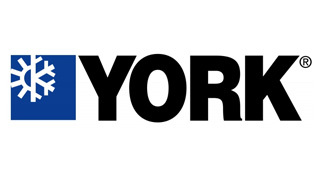 That's why, after over 130 years, York is the world's leading independent maker of heating, ventilating, air conditioning, and refrigeration equipment. Most homeowners wish that the gas furnace in their home would last forever. And that wish could be granted when you install an Amana® brand gas furnace. 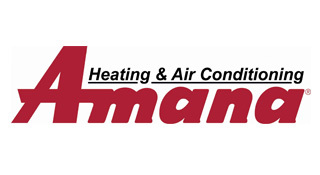 The complete line-up of Amana® brand gas furnaces offer what many conclude are the best warranty programs in the heating and cooling industry. To find the highest level of energy-efficient gas furnaces, look for the highest AFUE rating. Don't risk the indoor comfort of your home. For long-lasting performance, install an Amana® brand central air conditioning system in your home. Keep your home cool, save energy costs, and enjoy what we believe to be industry-leading warranty protection. Compare the features and benefits of an Amana® brand central air conditioning system and you will discover why more and more homeowners choose the Amana® brand. To find the highest efficiency air conditioning system for your home, look for the higher SEER numbers. Mastercraft proudly serves all of Oakland, Macomb and Wayne Counties. Contact us today for 24/7 emergency service and all your home heating and cooling needs!